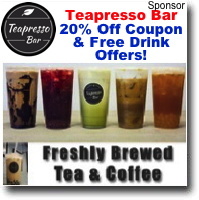 11/1/2018 - Teapresso Bar - Kaimuki, Hawaii - 20% Off Coupon and FREE Drink Offer! 11/1/2018 - Himalayan Kitchen - Kaimuki - Updates their Lunch Menu - Great Coupons Too! Following input from pool users and Department of Parks and Recreation (DPR) staff, the schedule for heated water service at pool facilities located at city parks will be shifting by one month. 11/2/2018 - Hawaiian Gold Jewelry Discount Sale Off Entire Website! 11/8/2018 - Hawaiian Gold Jewelry Discount Sale Off Entire Website! View great Thanksgiving holiday sales offers for the Kaimuki community along with special events! 11/15/2018 - Kahala Pet Hospital! Moves To New Location In Kaimuki! Great way to stay in the loop about Kaimuki. 11/15/2018 - Big City Diner - NEW MENUS POSTED! View some of out high ticket items with BIG Discounts! 11/20/2018 - Hawaiian Gold Jewelry Discount Sale Off Entire Website! 11/27/2018 - HOLIDAY/CHRISTMAS SALE - Hawaiian Gold Jewelry Discount Sale Off Entire Website!